Assets such as iOS/tvOS/watchOS/Mac App Store apps/OS X Installers/Combo Updates are cached through the detected or provided Caching Server. If an asset is not currently in cache, it is downloaded; if the asset is in the cache, then the asset is skipped. 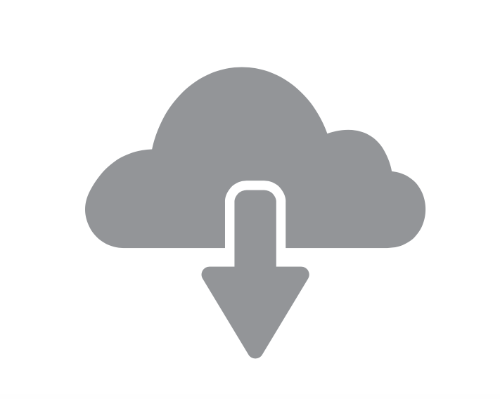 A progress indicator provides feedback on how much of the download is left. Requires Python 2.7.10 or newer. Note macOS Installers from the Mac App Store are not scraped from an XML feed, instead they have to be updated each time a new release or dot release comes out. Specify the cache server to use. --debug               Debug mode - increased log verbosity. -n, --dry-run         Shows what would be cached. Cache IPSW for provided model/s. -l, --list            Lists all assets available for caching. Provide model(s)/app(s), i.e iPhone8,2 Xcode. Path to save IPSW files to. Processing feeds. This may take a few moments. 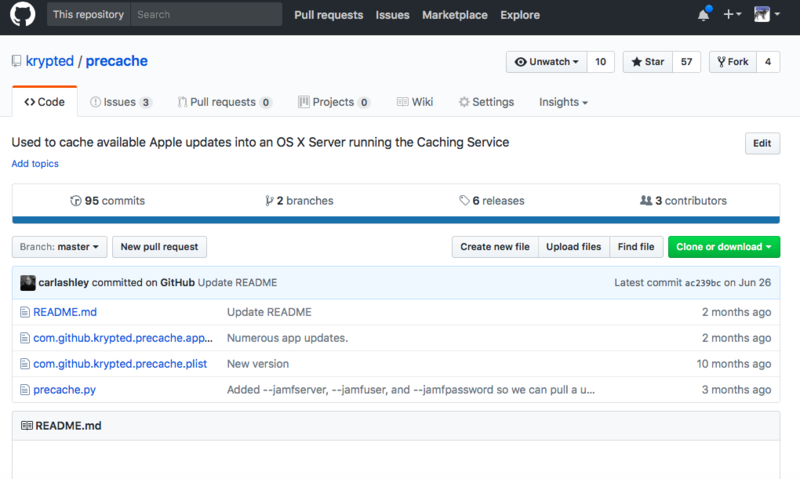 When initalised, a test confirms that the caching server can be accessed. If not, the script exits. In some environments, it may be desirable to run this as a LaunchDaemon on a Caching server in order to keep particular assets available. To do this, you could use a basic LaunchDaemon that runs once a day. The example below has the precache.py tool located in /usr/local/bin and is set to get the OTA updates for an iPhone8,2 and iPad6,7; it runs on a Wednesday at 19:00. A copy of this plist is included in this repo, simply place it in /Library/LaunchDaemons and precache.py in /usr/local/bin. If you want to change the day/s when this runs, you can simply change the integer values for Weekday to any combination of days, such as 246. This will run on Tuesday, Thursday, and Saturday. To change the time, simply change the integer values for Hour and Minute - use 24hr time. You could alternatively use outset with a script that calls precache.py with relevant flags.